Kishtwar, located at a height of around 5,360 feet above the sea level is gifted with remarkable vistas of dense woods of deodar, pines and fir. Unlike other tourist places in the state of Jammu and Kashmir, Kishtwar is not much popular; however, its strategic location surrounded by high-altitude mountains never gets ignored among explorers. This place has sloppy hills and lofty mountains around this land. Kishtwar is mainly noted for saffron and sapphires, but still there are various attractions of this place to keep the visitors entertained and busy. Adventure lovers can enjoy mountain expeditions in the form of peak like- Crooked Finger (5, 630 m), Sickle Moon (6,575 m), Brahmma-I (6,416 m) and Arjuna (6,230 m). Besides them, Jamia Masjid, Shrine of Shah Asrar, Hatta Wali Mata Temple, Kishtwar National Park and Athara Bhuja Devi temple are some of the famous attractions of the area. 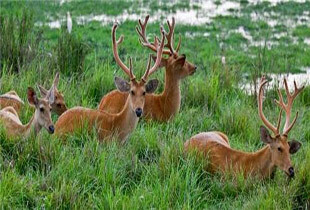 So, if you want to visit this beautiful city, explore the Kishtwar holiday packages offered by EaseMyTrip.in and get the best offers for the tour. 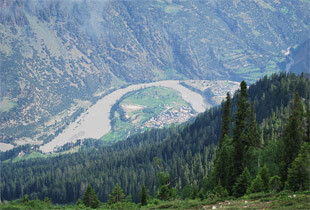 Kishtwar is sited on a plateau above the Chenab River and below the Nagin Sheer glacier. This place is noted for the fine saffron grown in the area and for various waterfalls nearby. Saffron, a very colourful sight in spring and summer, grows only in a limited area and the cultivation as well as harvesting is accompanied by merry festivals and ceremonies. The pilgrimage site of Sarthal Devi, with its 18-armed goddess statue, is located at a distance of 19 KM from the town. 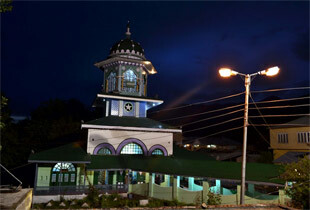 Kishtwar also has the tombs of two important Muslim saints. 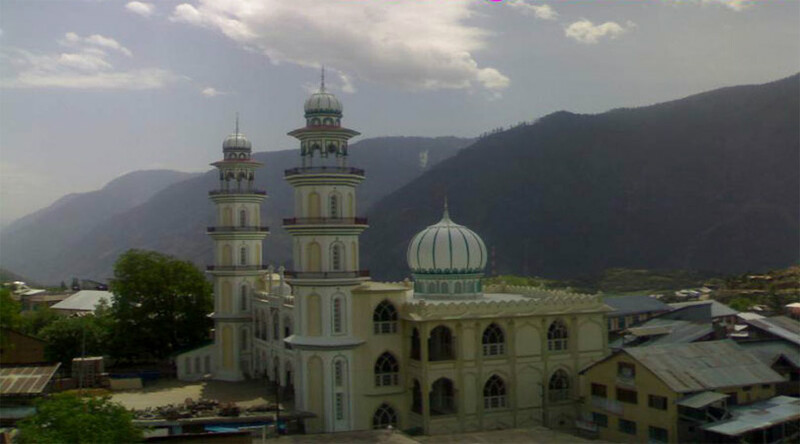 The Jamia Masjid of Kishtwar is the oldest mosque in the district of Kishtwar. It has already been said that a mosque had been built in Kishtwar before 1650 A.D. Masjid-e- Faridiya and Jamia Masjid Kishtwar follow. It was one of the biggest mosques in Jammu province. A ziarat constructed over a tomb of shah Farid-ud-Din, a great Muslim saint and is situated in the heart of Kishtwar town. It is believed that shah Farid-ud-din came to Kishtwar during the reign of Raja Jai Singh to propogate Islam. Located 115 KM beyond Kishtwar at an altitude of over 4,000 metres are the blue sapphire mines of Paddar. It is a road leading up to this area from Kishtwar. Shrine of Shah Asrar, Hatta Wali Mata Temple, Kishtwar National Park and Athara Bhuja Devi temple are some of the other tourist attractions of Kishtwar.